Part one revealed Kodak’s rise to success. In this post, we look into the components that altered that status. Snyder (2013) asserts that many believed Kodak’s problems began when digital technology was introduced, his research, however, disclosed that their problems developed further back. For example, when Kodak competitor Polaroid introduced a camera that developed photos in sixty seconds, Kodak focused the energy of their R&D engineers to come up with a similar product. Their attempt to mimic another company’s technology not only tarnished their image, it caused them to lose focus on the market. This allowed Japan’s Fuji Corporation to slowly dominate the industry when they released a 400-speed film product before Kodak. 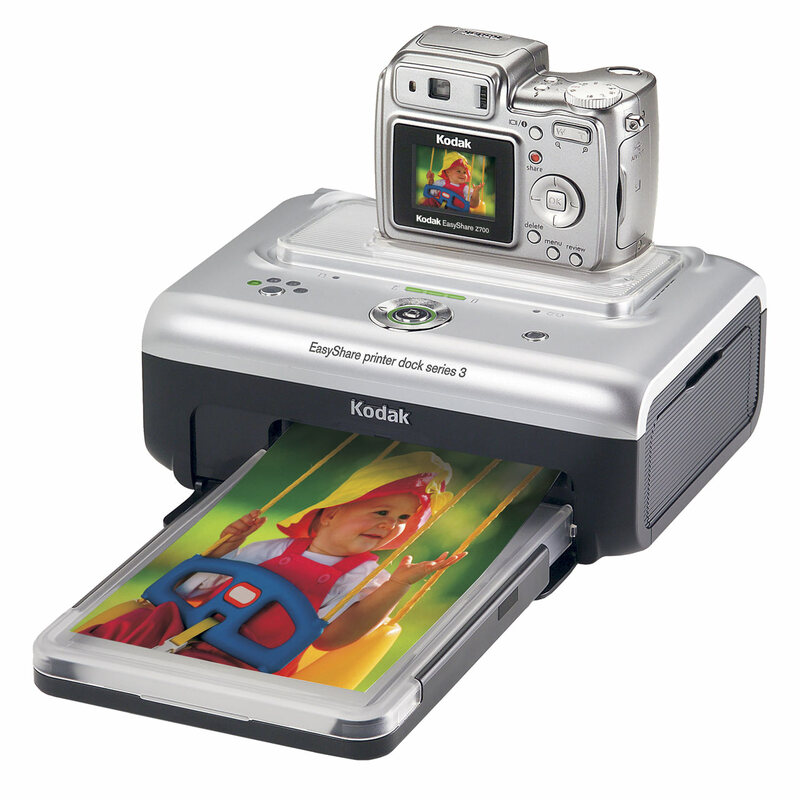 Later, when Kodak introduced their version of the Polaroid instamatic camera, this copy-cat strategy resulted in a costly lawsuit that was filed and won by the Polaroid company for patent infringement (Snyder, 2013). In short, Kodak’s blind ambition, poor investment choices, and an attitude that they were too big fail, ultimately clouded their judgment. Consequently, every attempt they made to salvage the company’s image in hopes of reclaiming their title as a dominant force in the marketplace only cost them more as they continued their downward spiral and evidenced from the data reflected in the financial statements of their annual reports. Even though PR fluff can try to disguise the true nature of a company’s operational health, the financial statements contained in their annual reports can help analysts discover the truth about a company’s financial condition and overall performance. Mattioli and Spector (2011) postulate, that in spite of their financial hardships, Kodak was committed to meet their obligations to suppliers and creditors (Mattioli & Spector, 2011). 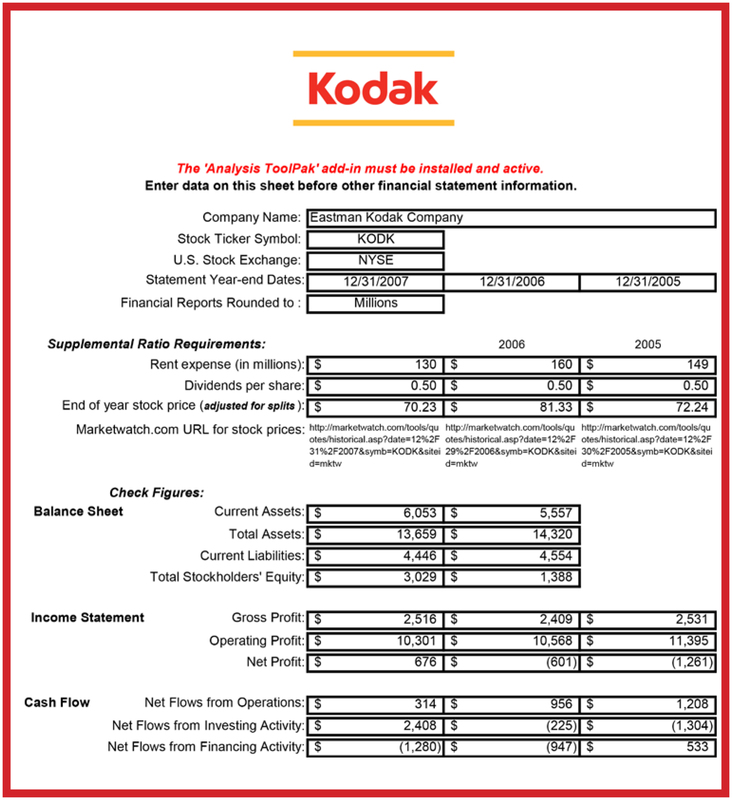 For example, an initial assessment of the 2007 Annual Report’s financial statements which include the (a) balance sheet, (b) income statement, and (c) cash flow balances, (see Exhibit A below) indicate that for the period from 2005 to 2007 Kodak was making a genuine effort to salvage their firm even though profits continued to steadily decline. In 2007, the gross profit figures of $2,516 (represented in millions for instance), were not far off from the figures reported in 2005 ($2,531). In the meantime, the balance sheet indicates that their assets showed an increase in value which could suggest they felt confident enough make further investments to continue moving forward with day-to-day operations. The net profit figures from the income statements, however, suggest a drastic fluctuation during that three year period beginning by showing a loss of $1,261 net profit in 2005 (in the millions), another loss of $601 in 2006. and finally in 2007 they showed a gain in the amount of $676. Although this indicates profit rather than loss during that three year period, it still did not give shareholders confidence in the company’s performance outcomes. In the meantime, the cash flow figures confirm a steady decrease during that time which further confirmed that the company was not performing well. Signs of trouble in the Kodak Company were further apparent in that their stock activity also fluctuated considerably during that time. 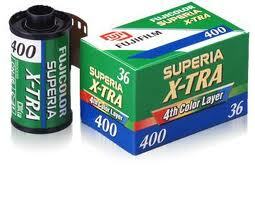 For instance, at the end of 2005, Kodak’s stock price was valued at $72.24 a share. In 2006, the stock went up to $81.33, perhaps because of their attempts to seek out loans to help build shareholder confidence. However, by the end of 2007, Kodak’s shares dropped lower than they were in 2005 to a mere $70.23 per share. This indicates that in spite of their efforts to resurrect the company, they were still struggling considerably. The information gathered from Kodak’s financial statements, such as: (a) assets that dropped to a value of $13,659 from $14,320, (b) accounts payable liabilities went from $12,932 to $10,630, and (c) shareholder equities that decreased from $14,320 to $13,659, revealed that incoming revenue and shareholders’ equity showed a steady decrease during that accounting period. Based on the findings of this initial analysis, these figures divulge that during that time, the Kodak Company did not exhibit the performance levels of a healthy enterprise. Comprehensive financial analyses help forecast a company’s financial health from the information provided in their annual reports. The significant financial data and ratios that are contained in them help provide strategists key information to determine industry trends. Friedlob and Welton (2008) assert that the key to understanding an annual report is that they are designed to help satisfy the needs of many individuals including shareholders, creditors, economists, analysts, and suppliers (Friedlob & Welton, 2008). The findings of this study revealed that Kodak Eastman’s financial troubles began years ago because company leaders lost sight on the key component that made them a giant in their industry: to provide innovative high quality products. Synder (2013) submits there many more reasons that led to Kodak’s slow demise which included such factors as: (a) their focus on copying Polaroid’s innovations, (b) their abandonment of the 35mm camera market, and (c) making costly acquisitions like Sterling Drug for $5.1 billion with no experience in managing a pharmaceutical company (Snyder, 2013). These short sighted decisions cost them greatly in the long run and were reflected in their overall performance outcomes revealed in the 2007 Annual Report which confirmed their slow and steady decline in revenue and stock equity. In addition, the legal proceedings section of the notes contained in the report indicates that they were involved in a variety of investigations and in various stages of litigation which analysts knew could also produce adverse effects on Kodak’s future financial condition. The initial examination and assessment from the findings of this research conclude that the Kodak Company was financially unstable during that time and is supported by the declining numbers disclosed from their annual report. In short, the financial figures revealed that the entrepreneurial decisions corporate leaders made at the firm yielded unimpressive performance outcomes due to many factors, including: (a) tunnel vision strategies that were focused on out-maneuvering competitors, (b) exorbitant acquisitions with no experience in how to manage them, and (c) a costly lawsuits from Polaroid and others that helped tarnish their image. In the meantime, Eastman Kodak has been working diligently to find ways to salvage the strategic errors of leadership that led to their bankruptcy after 120 years of public service. Mourdoukoutas (2013) explains that since that time, Kodak sold a large portion of the business, their patent portfolio, and laid-off most of their staff members to lighten the debt they carried. In addition, their R&D division is now focused on creating new products which is what the company excelled at when it was initially founded (Mourdoukoutas, 2013). In the long run it would appear that Kodak’s over confidence and lack of effective leadership with innovative decision making may have played a role that resulted in their empire systematically crumbling and hopefully they are on the road to a more prosperous venture.